Here at In Line Safety we pride ourselves in keeping up to date with current regulations and legislation. We know that all businesses have a duty to conduct proper fire risk assessments of their premises. We have a strong track record of working closely with the property departments of businesses to provide assessments that are cost effective, impartial (free from being tied to any fire safety equipment manufacturer or provider) and that meet all statutory requirements under the Regulatory Reform (Fire Safety) Order 2005. What is more we provide our customers with reports that are easy to read, with the key significant findings presented within the first 3 pages, as well as a clearly detailed action plan. The report can be on paper or in an electronic format. It is significant that most of our clients, drawn from a wide range of sectors – from care homes, to warehouses and factories – retain us on an on-going basis to review and update their fire risk assessments. Where required we can also draw up a schedule of remedial works and recommend installation of any equipment that is required, impartially selected on the basis of budget and appropriate use. We have a proven track record of substantially reducing the cost of FRA remedial works with many of our customers, yet still maintaining full compliance. Our assessments identify all potential fire hazards and people at risk, taking into account those who might be vulnerable such as the elderly, children or those with disabilities. The need for specialist equipment – such as fire appliances, evac chairs, appropriate storage facilities, and signage - is assessed. 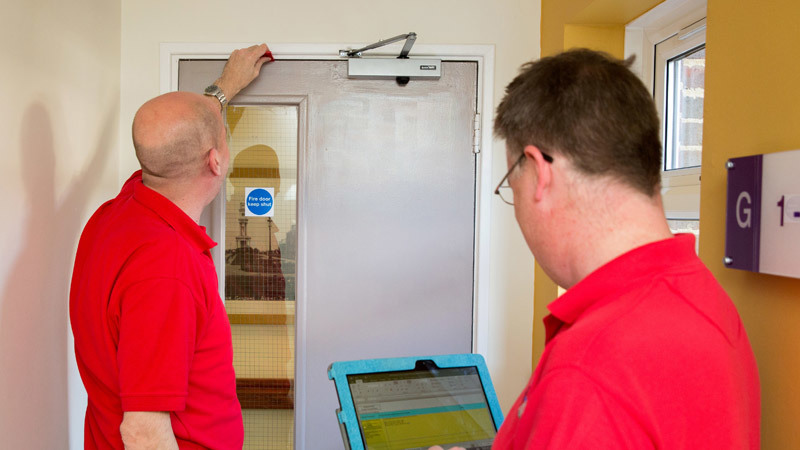 We check doors, locks, access and escape routes to ensure they comply with necessary regulations. And we can draw up emergency fire evacuation plans, provide information for employees and other people on the premises, and if necessary provide fire safety training for staff. Remember, you are the ‘responsible person’ for fire safety in business or other non-domestic premises if you’re the employer, owner, landlord or occupier and or, manager having control of that building. Failure to produce a valid fire risk assessment can result in significant fines and in some cases a custodial sentence.